Seye Odukogbe is a Chartered Engineer, and Transport Expert who has led sustainable transport projects across EMEA and North America. Seye Odukogbe is a Chartered Engineer, and Transport Expert who has led a number of projects developing a range of sustainable urban transport solutions including bus rapid transit, rail, and cycle scheme across Europe, Middle East, North America and Africa. He is currently advising a transport authority in London to implement measures that would help improve journey time reliability and road safety for bus users. Seye has provided technical advice to a number of private and public clients; and recently the Nigerian governments on issues to help reduce traffic congestion and road crashes, but also to provide local employment. Seye was the founder of ‘Stay Focused’, a UK social enterprise dedicated to breaking down the practical barriers to employability that stand in the way of talented, young people. In 2015, he founded ‘Cycle to Class’, an initiative which aims to increase access to education for 500 vulnerable children living in remote areas of sub-Saharan Africa through the provision of bicycles by the year 2018. Seye’s unrelenting desire to effect socio-economic policies that affect youths in the community has propelled him to design and deliver programmes for over 1,000 participants in the past four years. 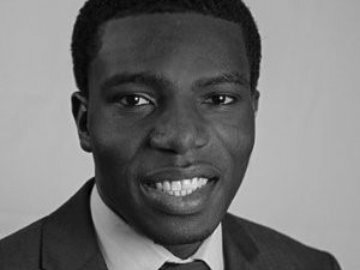 Seye is a Windsor Fellow, a member of the Emerging Leaders Network, a Global Shaper and a Trustee of ‘Uprising’, a leading UK youth charity.